Week 59 (Sun. 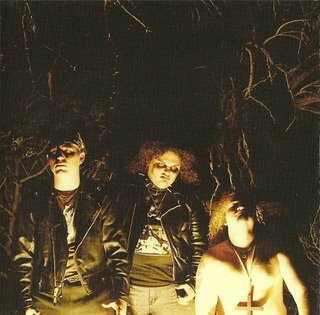 Aug. 18): Ace Still of Goatlord and Doom Snake Cult! Next time on Third Eye Cinema: the one and only Ace Still, of Goatlord and Doom Snake Cult! Legendary vocalist from not one, but two very unique and well regarded bands from the early days of underground metal, Ace, together with Joe Frankulin, Jeff Nardone and Jeff Schwab, was responsible for creating one of the earliest and most unique of doom metal bands, Goatlord! With a dark, evocative horror atmosphere and lyricism and some of the most sinister black metal style vocals ever recorded, Goatlord touched on doom, black and death metal years before any of those genres even came to exist!